With a few steps you can create a professional looking flower arrangement. Floral arrangements do not need to be expensive or complicated. Even grocery store flowers become something special when you arrange them beautifully. Begin by taping your vase in a grid pattern. Place the first piece of floral tape horizontally across the center of your vase. Next, place tape above and below this center piece. Repeat this step vertically with 2 to 3 pieces of tape. Make larger squares for flowers with thick stems. Finally, tape around the top of the vase to secure and cut off any pieces of tape that are too long. Prepare your greenery by cutting the stems diagonally and removing any leaves that fall below the tape line. Any leaves or flowers that drop into the water will cause your flowers to wilt faster. Using 3-6 stems, place your greenery in the center squares of your grid forming a triangle. Next, add your main flowers. Repeat the triangle formation adding your flowers to the same center triangles as your greenery. The flowers should be cut the same height as the greenery. As you place your flowers in the vase take care to insert them at an angle rather than straight down. By doing this, your stems will look more polished inside the vase and your flowers will create a desired round effect. 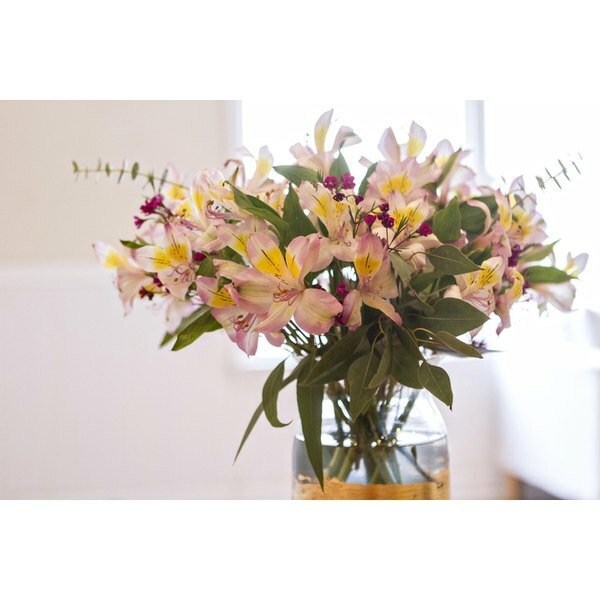 Alstroemeria are a great flower to choose for your main flower. They are well priced and last 1 to 2 weeks. Before parties and events, flowers may be kept outside in direct sunlight and it is important to use a flower that is hearty and can withstand this treatment. 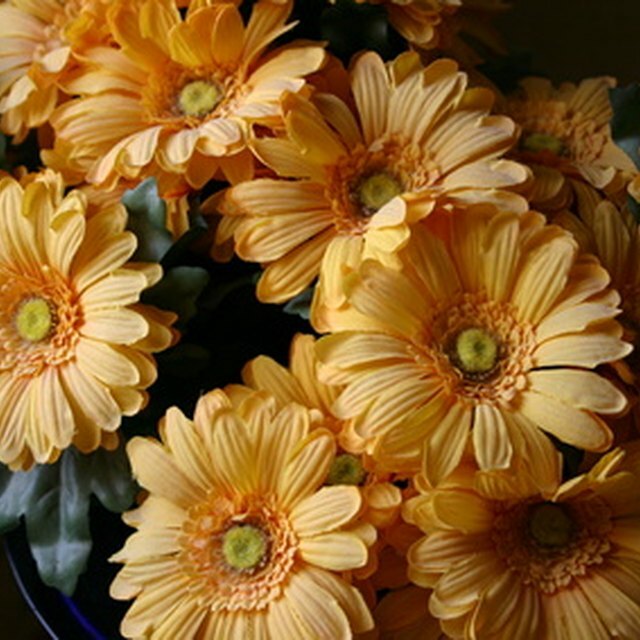 If you are creating your flower arrangement a few days ahead of an event, select flowers that have not yet fully opened. To finish your arrangement, add accent flowers to fill any gaps within your arrangement. Add these florals around the outside of your arrangement making sure to cover any visible signs of tape. Click here to find out how to make the embellished gold foil vase used in this tutorial.